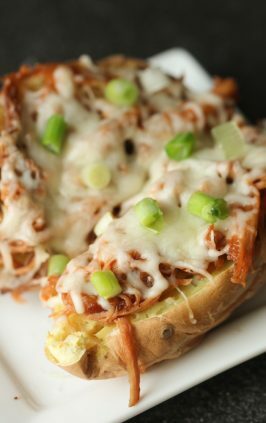 We love amazing recipes that you can throw in the slow cooker and have a delicious dinner a few hours later. 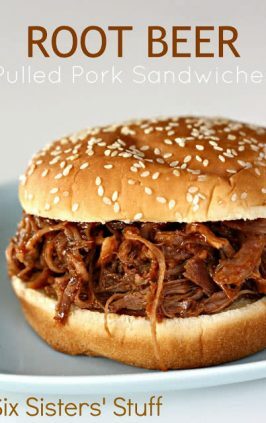 This would be one of those amazing recipes. Slow Cooker Pork Stroganoff is so easy and full of flavor. 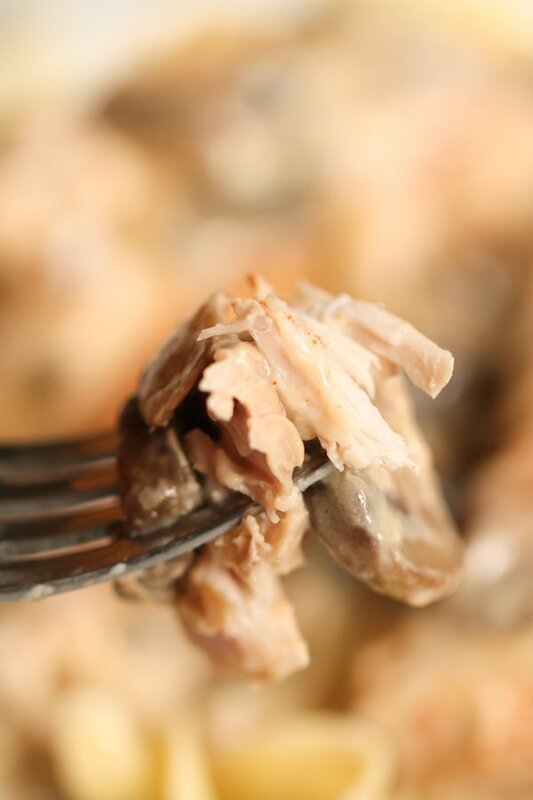 Slow Cooker Pork Stroganoff is a favorite recipe that our whole family loves. It’s easy prep and a no fail recipe. 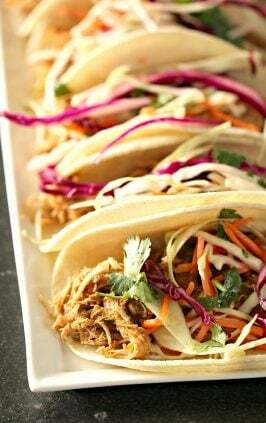 Take 10 minutes to place it all in the slow cooker and have dinner waiting for you later that afternoon. Did I mention that the kids loved it. We put it over a bed of cooked egg noodles and they gobbled it all up in no time at all. It would be tasty over a bed of mashed potatoes too. 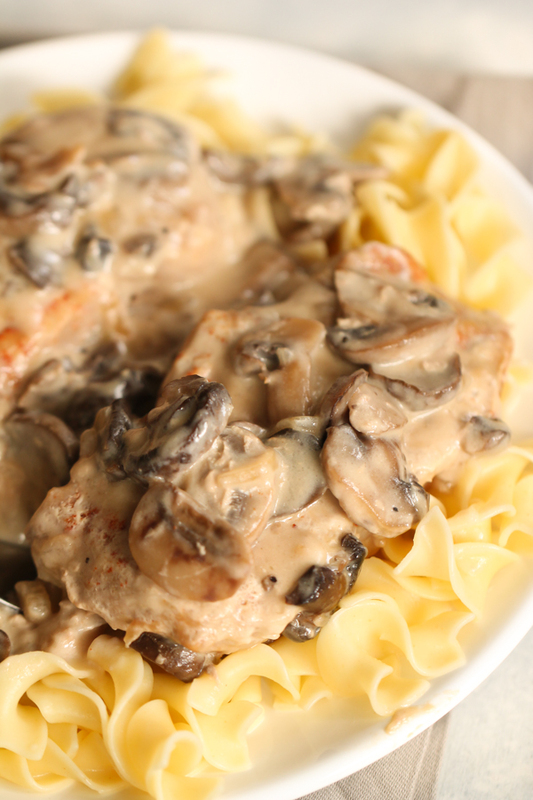 The options are endless as to ways to serve these Slow Cooker Stroganoff Pork Chops. Stroganoff is a Russian word. It’s namesake is Count Pavel Aleksandrovich Stroganoff. From what we have read he was a Russian hunk. Beef Stroganoff was invented sometime in the early 1800’s. It became popular in the America in the 1950’s and 1960’s. We aren’t ready to be done with the once popular stroganoff. 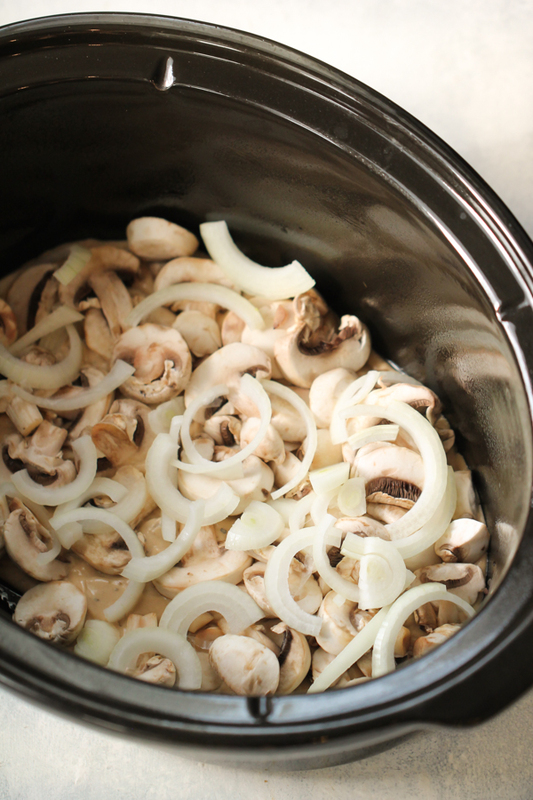 This slow cooker pork stroganoff is sure to resurrect the old Beef Stroganoff. Stroganoff is a dish that has the central ingredient as meat (often beef), and is cooked in a sauce that contains sour cream. 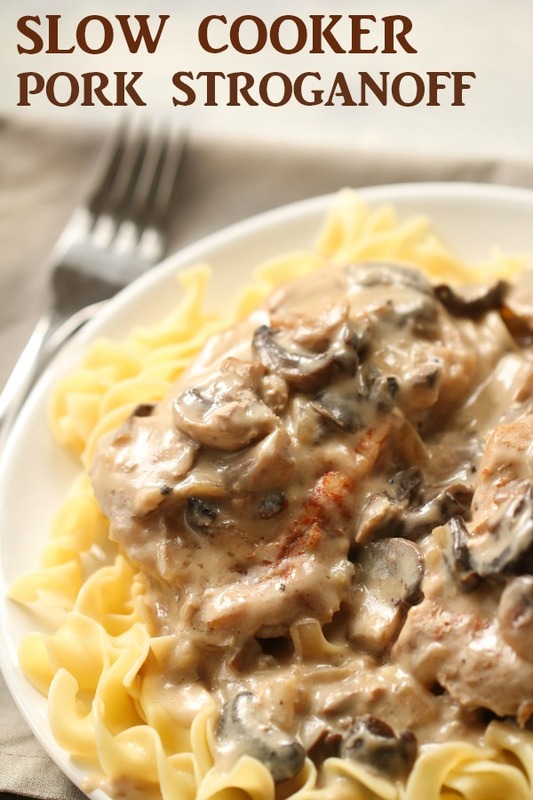 what can you serve with pork chop stroganoff? Slow cooker pork Stroganoff is an easy recipe with common ingredients that are easy to find in your pantry or at the grocery store. 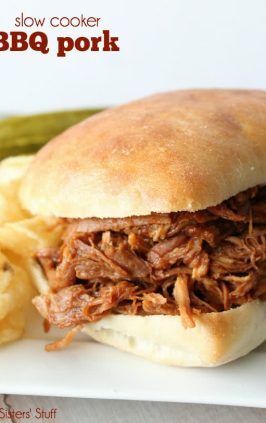 Lightly spray your slow cooker with non stick cooking spray. 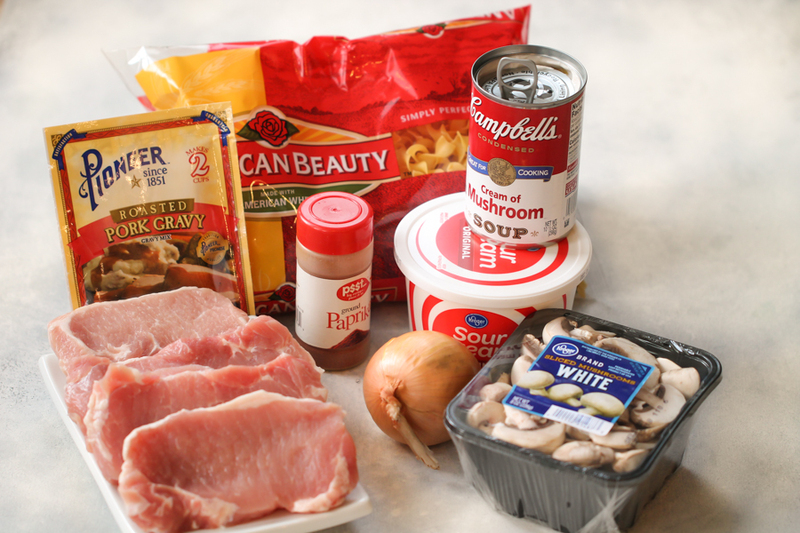 In a small mixing bowl mix together the Cream of mushroom soup and pork gravy mix. 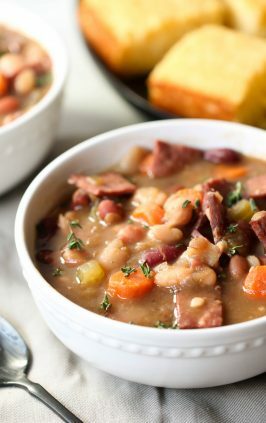 Spread in the bottom of the slow cooker. Top with sliced onions and sliced mushrooms. Then place the thick sliced boneless pork chops on top of the onion and mushroom mixture. 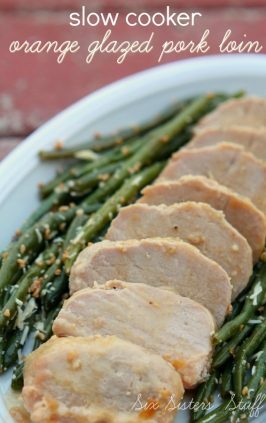 Sprinkle pork chops with paprika. 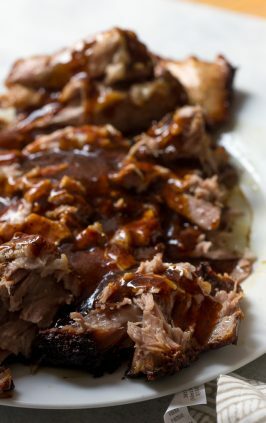 Pour 1/3 cup water over the pork and place lid on the slow cooker. Cook on low for about 4 hours. After the pork chops are cooked through, remove the pork and add in the sour cream and stir until all blended well. Place the cooked pork over a bed of cooked egg noodles. Then spoon the mushroom/onion gravy mixture over the pork chops. You are going to love every amazing bite of this Slow Cooker Pork Stroganoff. 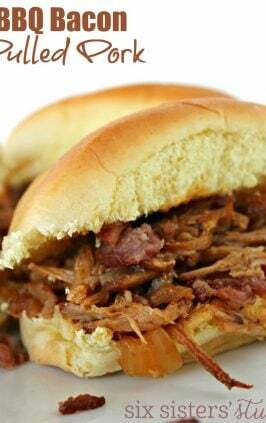 Slow Cooker – 7 quart that is dishwasher safe and a programmable timer. Sharp Chef’s Knife – This knife is great for slicing and dicing. Saucepan – This pan is great for cooking pasta. 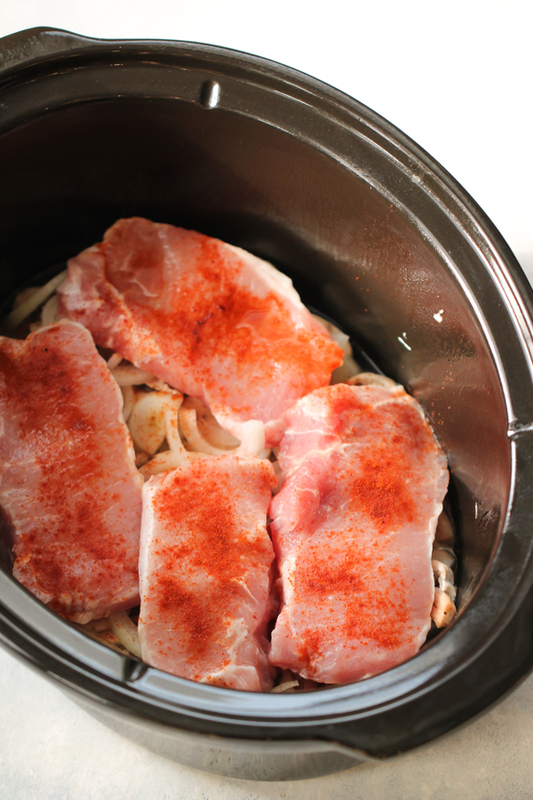 Lightly spray a 6-8 quart slow cooker with non stick cooking spray. In a small mixing bowl mix together the cream of mushroom soup and gravy packet. Top the soup mixture with sliced onions and sliced mushrooms. Then place the boneless pork chops on top of the onions and mushrooms. Sprinkle pork with paprika and pour 1/3 cup water over the pork chops. Cook on low for about 4 hours. 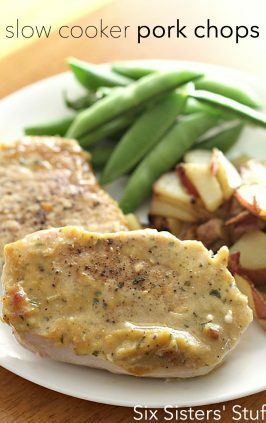 After the pork chops are done cooking, remove from the slow cooker and add the sour cream to the mixture in the slow cooker to make a gravy. Stir until blended and it starts to thicken slightly. Place the pork on the cooked egg noodles. 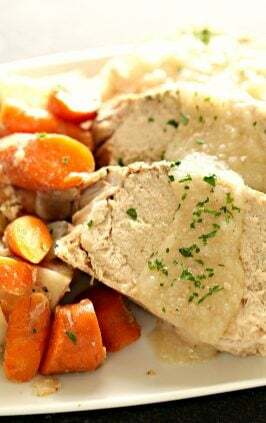 Spoon the gravy mixture from the slow cooker over the pork chops. 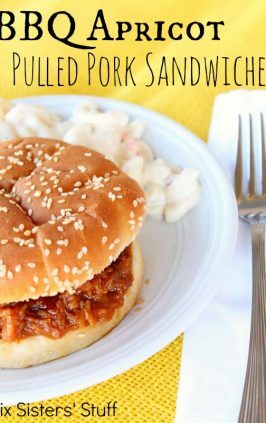 See how easy it is to cook pork and other meat in an Instant Pot. 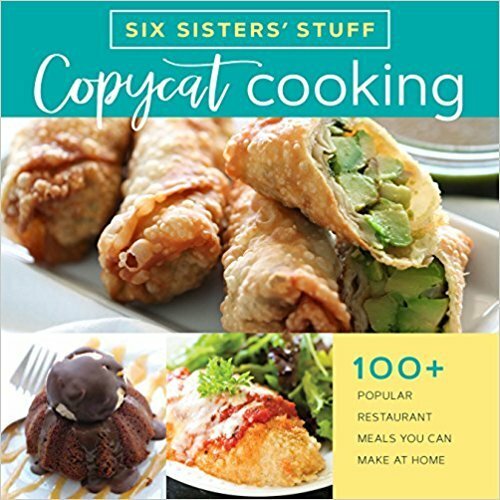 In the recipe for pork stroganoff you list a can of cream of mushroom soup yet in the description you have cream of chicken soup. Not a big deal just maybe confusing to some people.